Great news for animal lovers – the U.S. pet products and services market is on a major upswing, with startups driving exciting new innovation and growth in the industry. In fact, pet product sales are expected to hit a whopping $91 billion by 2019, according to Packaged Facts. As our so-called sharing economy continues to take off, we’ll be seeing inventive new companies emerging, offering AirBnB-esque and other unique services reserved for our furry friends. Products, too, are incorporating the latest consumer trends and technologies to make pet owners’ lives simpler and more convenient. Small businesses and mid-market companies alike are paving the way for compelling progress in the pet space. 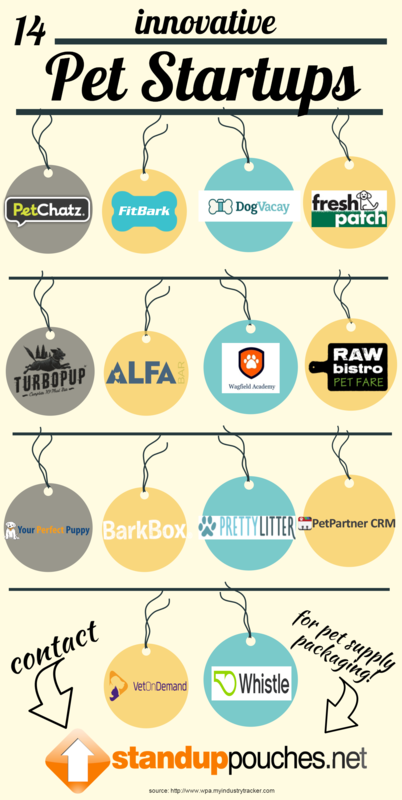 If your pet company wants to compete with these dynamic and growing startups, you’ll need to grab shoppers’ attention quickly. 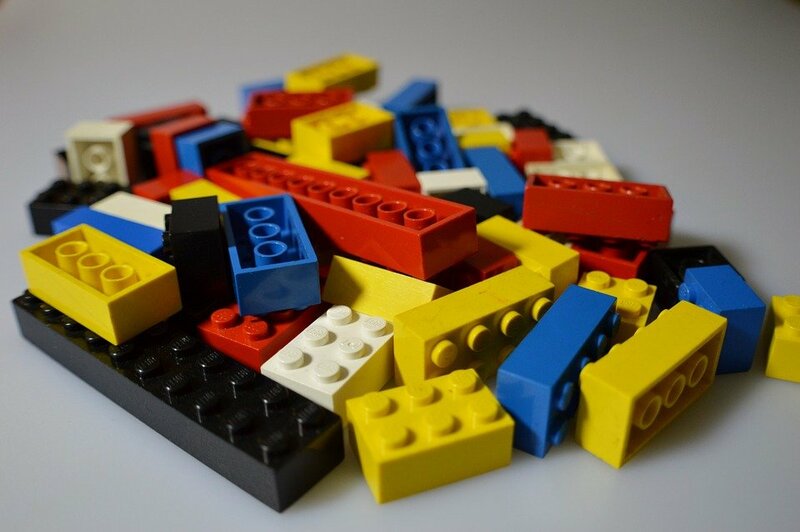 One of the key ways the world’s most successful brands do this is through their product packaging. These businesses are listening to changing consumer desires and are using the very best eco-friendly packaging to contain and show off their great new products. 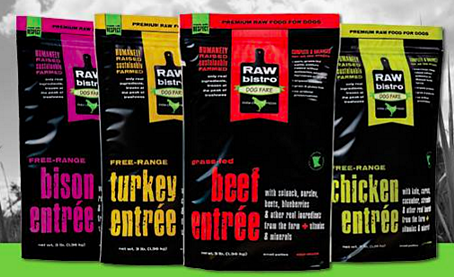 When looking at options for packaging dog food, for example, style and substance should always go hand in hand. That’s why innovative new big bags for packaging dog food are really taking off – these flexible bags are sturdy enough to actually stand up on shelves while effectively protecting large quantities of product from puncture and outside elements that can deteriorate the quality of the goods inside. Raw Bistro, mentioned above, is a brand to watch because its products truly shine on retail shelves. 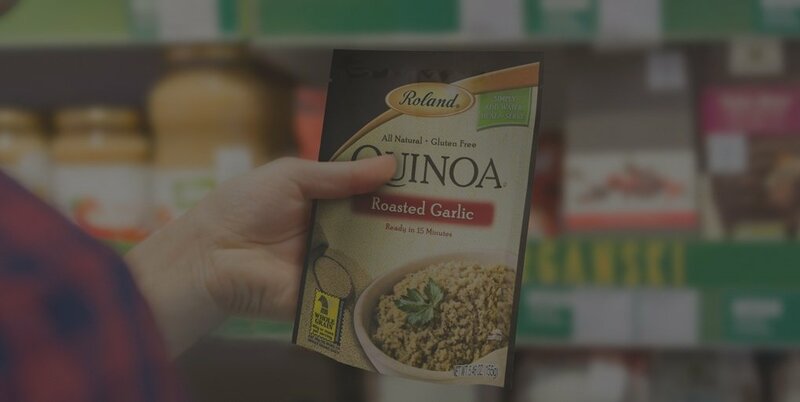 The company uses flexible, protective stand up pouches for its organic dog food packaging, and it entices customers to buy the product even before seeing it. The bold graphic designs and vibrant colors are reminiscent of the type of work you’d see on snacks and high-quality products designed for human consumption. The company smartly selected a creative solution for packaging dog food that highlights both the farm-to-table freshness of its products and the hip and modern aesthetic the company is making strides with. Pretty Litter is another brand on the list revolutionizing the pet industry with an emphasis on animal health. The company’s inexpensive kitty litter monitors cats’ health by detecting illnesses early. 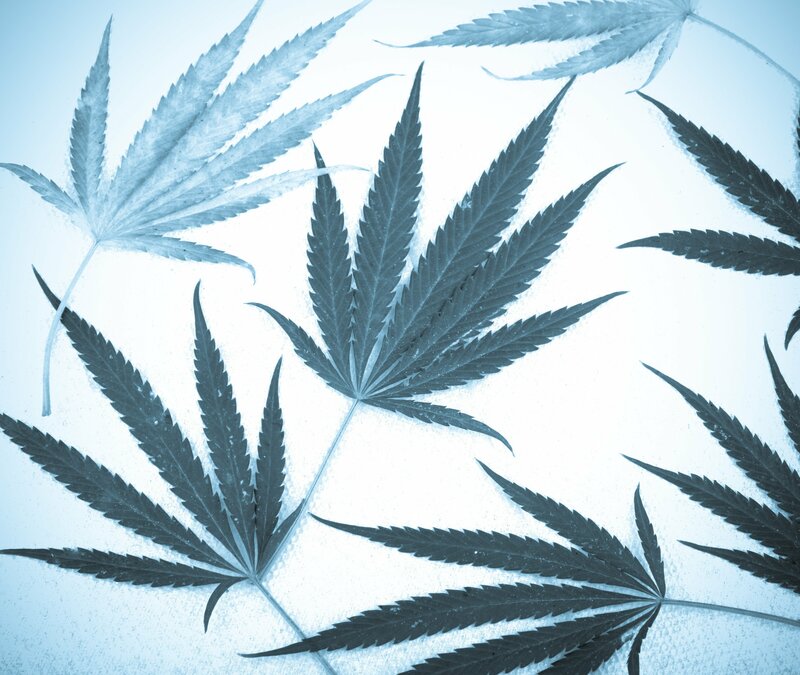 The litter is packaged in larger flexible stand up pouches that mirror the light weight and low cost of the product. 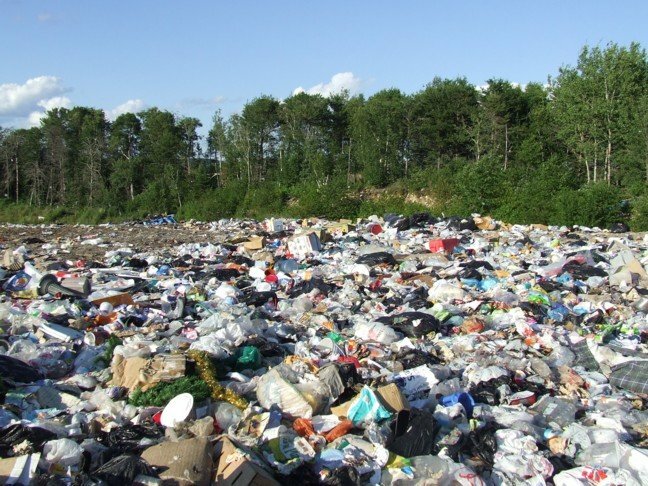 This type of flexible packaging is made of multiple layers that are laminated together, reducing bulk while still producing a strong and dependable structure that won’t result in spilled or wasted litter. Flexible dog food packaging can be used for a wide range of pet products, as evidenced by Pretty Litter, because each structural element is FDA-approved and strong enough to hold items of many different shapes, sizes, and even temperatures. 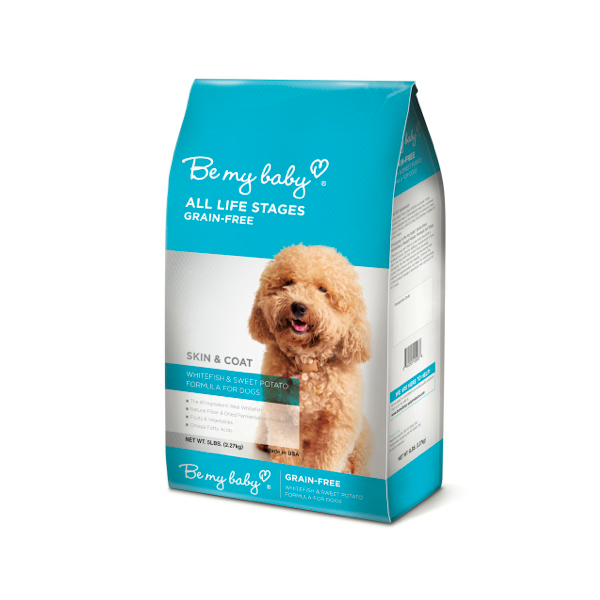 If your pet startup truly wants to make a statement, your team should always be thinking about the newest and best packaging when considering how you are going to market and sell your product. 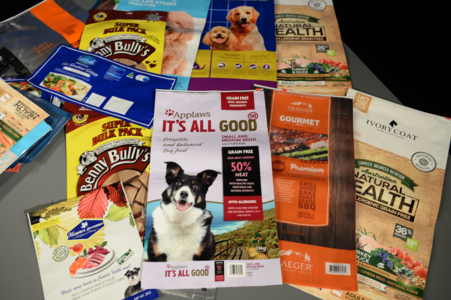 Your pet food and product packaging has the ability to connect with consumers on visual, tactile, and emotional levels, especially considering it’s one of the few brand "billboards" they will be passing by every day in their homes. Easy-to-use product packaging helps build brand loyalty by delivering your food, treats, and other goods in their very best light. If you really want to make a statement, choosing larger flexible pouches is a smart decision because they are impossible to miss in stores and keep heavy products protected in a way that is both creative and highly functional.